Let's be honest: In the face of a dicey global economy, the relentless forward march of the market is causing anxiety not only for those on the sidelines, but also for investors who are already participating and enjoying pretty decent returns. If you're looking to capture the broader market's success but worry over the possibility of a pullback, consider an exchange traded fund designed to lower your risk. The iShares MSCI USA Minimum Volatility ETF (USMV) attempts to track the broad performance of U.S. equities with lower volatility than the overall market. Based on the MSCI USA Minimum Volatility Index, the fund began trading on Oct. 18, 2011. Since inception, USMV has averaged 18.1 percent in annual returns. During this period, the fund's total return of 64.75 percent trails the S&P 500 (^GSPC) index's total return by about 7 percentage points. But it's tracked the S&P 500 with much less volatility. USMV has a current beta of 0.79, meaning that when compared to market, which carries a baseline beta of 1.0, it's only 79 percent as volatile. USMV has actually outperformed the S&P over a one-year period. For the last trailing 12 months, USMV has returned 17.3 percent, versus the S&P 500 index return of 14.8 percent That's 2.5 percentage points of outperformance for less risk. While the S&P 500 may have just conquered yet another record high in breaching the 2100 level, recent market action has been defined by seesaw volatility. In late fall, the index lost nearly 7 percent between mid-September and mid-November before regaining ground, and experienced another 5 percent hiccup in December before recouping and advancing. Such dizzying swings within the space of weeks have some investors seeking stability, and USMV appears to be a beneficiary of this desire. The fund held over $3.6 billion in assets as of Dec. 31, 2014. In the first few weeks of this year, the fund's net assets have billowed by more than 27 percent, to $4.6 billion. How does the fund decrease its volatility, and theoretically, investor risk? First, four broad and relatively stable sectors account for nearly two-thirds of the USMV's market value: health care (19.8 percent), financials (15.6 percent), information technology (14.7 percent) and consumer staples (14.2 percent). This is somewhat similar to the composition of the first two-thirds of the S&P 500 index, except that USMV essentially switches health care and financials in terms of weighting. It also gives more weight to the consumer staples sector, which relies more heavily on food and other "bread and butter" stocks, vs. the S&P's bias toward the consumer discretionary sector, which includes companies that perform well in healthy economies, when consumers have more disposable income -- think Netflix (NFLX) and other media stocks, for example. The fund also gets a boost from stocks that, in the best-case scenario, outperform the market with a lower beta. A fine example is the ETF's largest holding: AmerisourceBergen (ABC). Not exactly a household name, AmerisourceBergen is nonetheless a $119 billion pharmaceutical distribution company. ABC has returned nearly 47 percent over the past trailing 12 months, while carrying a beta of just 0.60. Other top-10 holdings that are beating the broader indexes with betas below 1.0 include Becton Dickinson (BDX), PepsiCo (PEP) and Paychex (PAYX). The ETF is fairly investor-friendly as well. Because it's invested in liquid, primarily large-cap U.S. stocks, there's very little difference between the market share price and the fund's net asset value (the daily published value of the fund's holdings). Currently, the fund trades at a 0 percent discount to net asset value. In addition, USMV yields 1.9 percent, and carries an expense ratio of just 0.15 percent. Should you consider an investment in USMV? In the final analysis, the fund is highly correlated to the broader market, even with lower volatility. 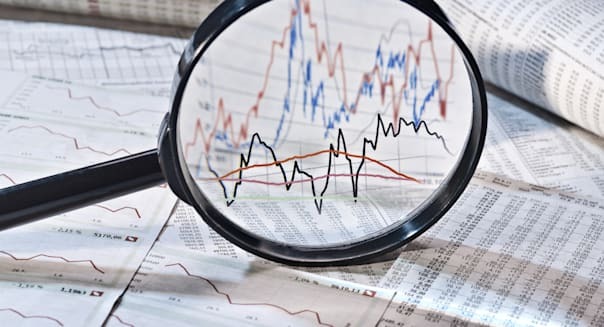 USMV may experience less fluctuation than, say the SPDR S&P 500 ETF (SPY) or the Vanguard S&P 500 ETF (VOO), two larger funds that track the performance of the S&P 500, but outsize market swings will still impact this strategic ETF. On the other hand, USMV may offer just the psychological boost that some investors need to participate in the market. BlackRock Fund Advisors, which manages the fund, remarks that its product "may help reduce losses during declining markets while still experiencing gains during rising markets." With an albeit brief track record approaching 3.5 years, USMV so far is on the path to fulfilling this goal.